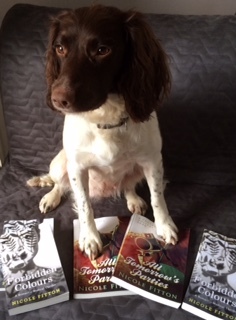 Poppy has her paw on the pulse! 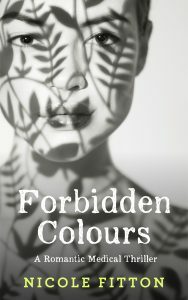 Release December 2016 Forbidden Colours is a romantic medical thriller set in the present day. Released August 2015 All Tomorrow’s Parties is a journey through life and love. Laine Marshall isn’t a product of the 1980’s she is the epitome of it. 18 years of age and working for one of the hippest labels around Vestal records. She takes the day to day hedonism of working for Vestal in her stride and experiences every emotion under the sun except the one she craves the most – love. She has a DJ boyfriend Danny she ‘likes’ and a music editor lover Tony ‘she could love’, but no smack bang between the eyes kind of love. That is until a chance encounter in Italy sets her pulse racing and her heart in pieces. With her life turned upside down she tries to navigate towards love with tragic consequences. Someone is trying to derail her happiness but who and why? Can her heart be broken and rebuilt? Set against a backdrop of pop culture All Tomorrow’s Parties details what it’s like for a young girl entering the workplace for the first time. Into a world that for all its forward thinking is still struggling with the changing role of women and flavours of this are peppered throughout the book. It is a story about the inception, development and completion of love. Sometimes you have to play the cards you’ve been dealt and hope. Hope that there is more than making do, hope that with every set back you grow taller and stronger 18 year old LAINE MARSHALL exemplifies hope. Last year my short story ‘Soaring’ was short listed in the Black Pear Press Short Story Competition. It has been featured in their 2016 anthology. If you like short stories I would highly recommend this book. It contains 32 short stories that were either short listed or long listed by authors from across the globe. You can see the link below.